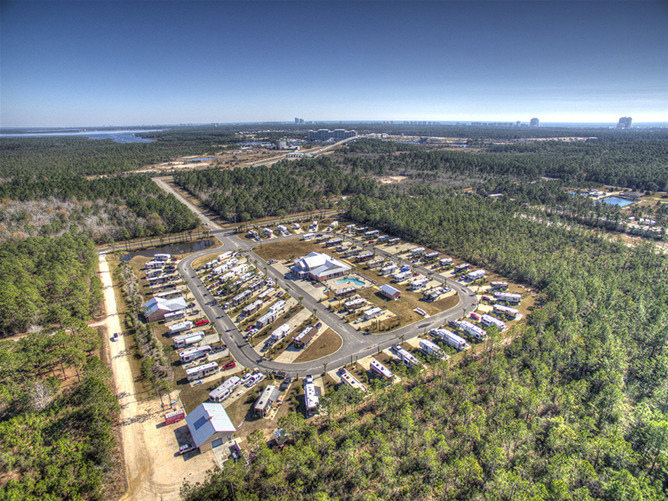 Located in Gulf Shores, Alabama, each one of our 63 sites features full hookups, includng 30/50 amp power, water/sewer, and WiFi! 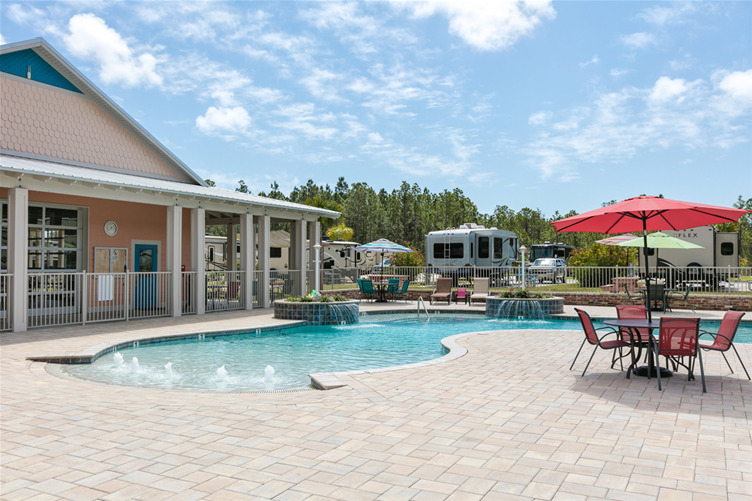 Each site has a 22' x 60' concrete pad to accommodate even the largest RVs and beautiful, lush landscaping set among our coastal craftsman style buildings. 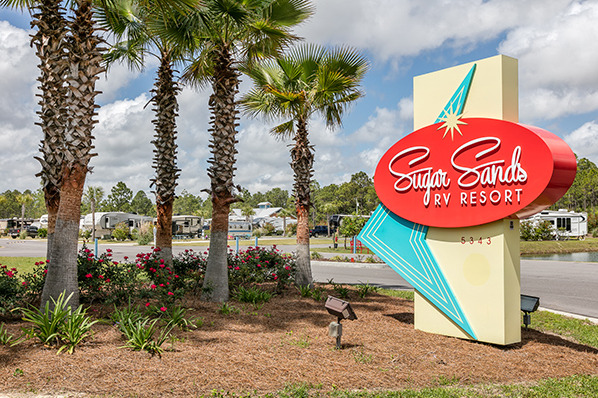 Our list of amenities includes: a bath house with separate men's and women's restrooms and showers, an expansive 5,000 square foot 'Rec House,' complete with a full kitchen and 6 roll-up doors, and a resort-style pool! We're also pet friendly, and our friendly staff is well prepared to answer an questions you may have about the local area.